Do you feel stuck, lost and grounded! Instincts To Find Your Ocean - Sea turtles spend most of their lives in the water. When females come to the shore they dig out a nest in the ground with their back flippers, bury their clutch of eggs and return to the ocean. After about sixty days, baby sea turtles (known as "hatchlings") emerge from their sandy nests, the young may take as long as a week to dig themselves out of the nest. They emerge at night, and make their way to the ocean —attracted to the distant horizon. Answer - The first thing without any training, any background and experience or anybody guide them; the first thing they do is turn to the water because instinctively they know that they were created to be in the water - Do you know what your where created for and are you doing anything to find your ocean! 1. Born For The Ocean - You might be born in the land like a sea turtle but are meant to swim in the ocean. That is the probable reason why you have not found inner peace because you might be stuck in the land when your gift is meant to swim in the ocean – find your ocean and swim in it. Do not remain on the ground – grounded. It is born on the land when it is meant to swim in the ocean - so break out, dig out and find your ocean. 3. Birth Place Is An Environment: The place of birth might not be your ocean. Do not remain in a place because you were born in it; or remain in a job because it was your first. Your place of birth is the environment that was designed to give birth to you and it might not necessarily be the place where your gift was designed to swim in - ocean. 4. The Power of Instincts: God has hidden in each and every one of us gift radar – or locator. You have instincts and gift locators that are put by God to help you – just like a sea turtle to find your ocean. 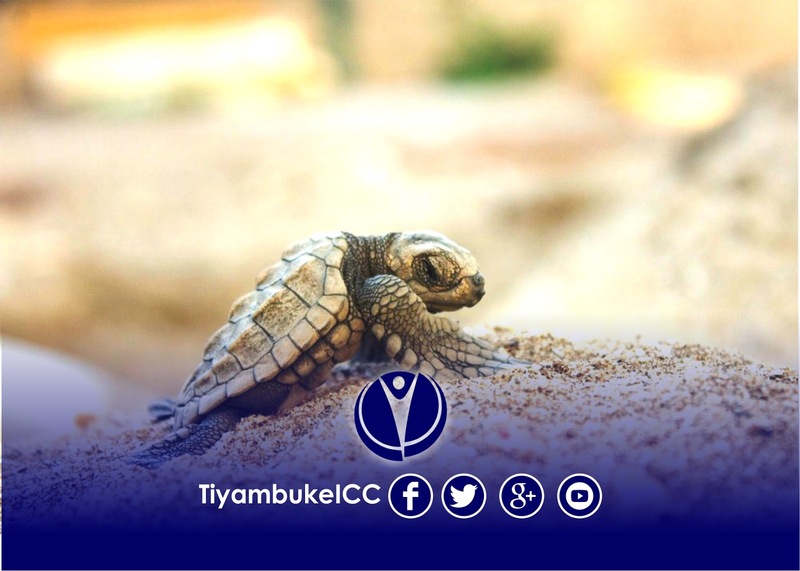 This is what we will be teaching you to do at Tiyambuke International Christian Convention – Stir Up The Gift! Find Your Ocean. Do you have a question about Tiyambuke? We are here to help!